We know you love pumps! But even though the day calls for something comfy, like a sneaker, your outfit deserves better. 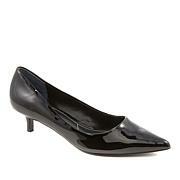 This heeled pump feels like any other Bzees but wears like a pump, complete with a chunky stacked-look heel. So when you want to look nice but also be uber comfy, Bzees to the rescue. These are so cute. Very stylish...and so comfy! I am a Bzees girl...already have 3 other pair. They fit nicely...although, a tad more room in the toe area would be awesome.....but these will stretch out a bit, so I am happy.Love that I have a little heel...I have given up on heels...but these let you have that, without being wobbly! Love these! I bought my size 10wide and they fit fine. Could be a bit wider across toe area but still comfortable. I have been having issues with swollen feet and was in desperate need of a shoe to wear to a wedding. 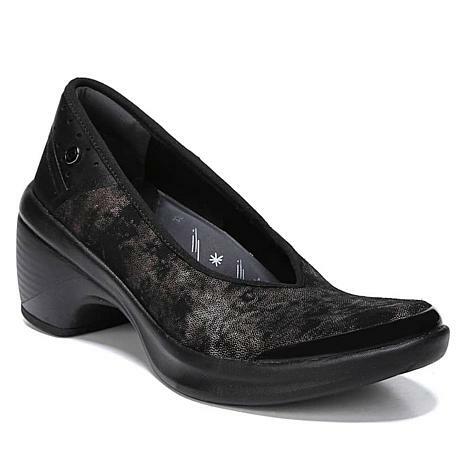 I am happy to report that the Bzees Willow Slip on Pump fit and was very comfortable. Thank you Bzees!